Post Incident Procedures (PIP) are crucial in firearms and operational policing. It is vital that firearms officers, Post Incident Managers, Federation representatives, solicitors and others have access to regular training and the most up-to-date approaches, as well hearing from experts in their field. From a Federation perspective it is essential that officer welfare is considered from the outset after a firearms incident. Fed reps have important role to play and it's a role that others involved in PIP should have a solid understanding of. With that in mind we were pleased to be invited to take part in the PIP workshops organised by Inspector Ed Purchase and supported by our own Mark Perryman. The workshops run though to the end of March and we have encouraged all our PIP trained reps to take part. The workshops organised by Inspector Purchase are a training opportunity that all firearms officers will receive. 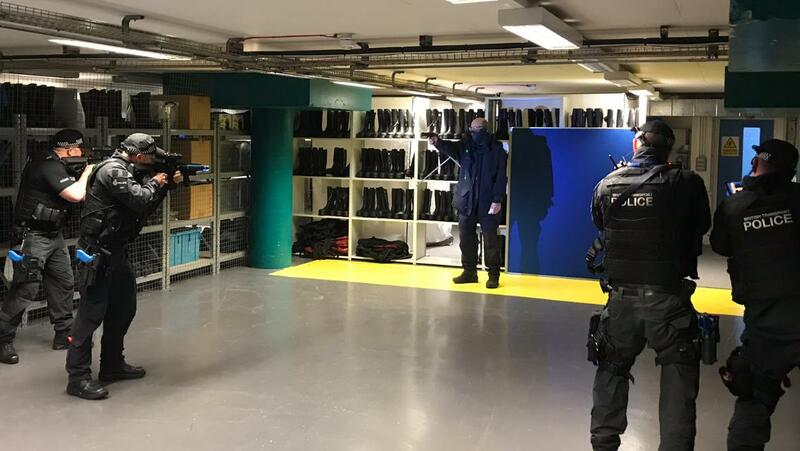 As well as attendees from Firearms, Tactical and the Federation, PSD and staff from the Independent Office of Police Conduct (IOPC) also took part. The day started off with a briefing and introductions before a scenario was played out in front of observers. The mock shooting incident saw firearms officers on patrol being called to a station to deal with a male reported to be in possession of a firearm. As the scene unfolded, the officers had cause to shoot the subject and this allowed the PIP procedure to be carried out as it would in the case of a real incident. Working through the relevant stages was a great learning experience. We were able to get the views of the IOPC and PSD and understand what they are looking for through the PIP process, and as a Federation we were also able to give our input. I firmly believe that the PIP process is of a great benefit to officers and would encourage the Force to ensure everyone is aware of Post Incident Procedures and how it works; it isn't just something relevant to those working in Firearms. To give an example, an officer at Edinburgh Waverley could Taser someone who could fall back, strike their head and ultimately result in death. They would then come under Post Incident Procedures. If this incident were to happen, we can only begin to imagine how officers would be feeling, but with some education in how PIP works it may be of some comfort for them to know how the procedure will go and the support mechanisms in place for them. There is much more I could add but I wouldn't want to spoil it for those still to undertake the training. If you're a PIP trained rep there's still time to take part and I think you will get a lot out of attending.